I am publishing a guest post by Jacques Tassin, who tells us of his personal experiences with presenting his findings about invasive species in public forums. 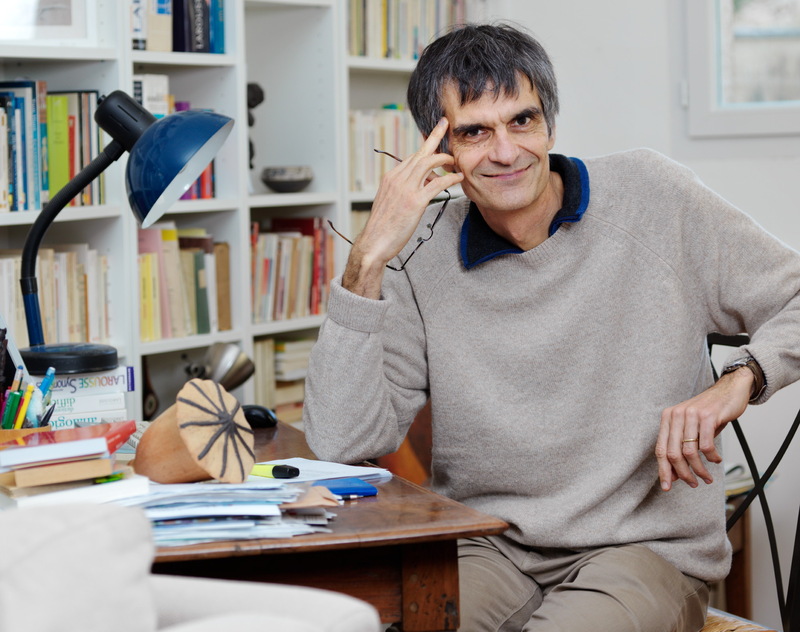 Jacques Tassin is a French ecologist. He has been working on invasive species for more than twenty years, especially on islands in the West Indian Ocean and Pacific Ocean. Dr.Tassin agreed to tell us about his interactions with the public because he believes the public’s views of invasive species are poorly understood and that improved understanding of the public’s views would improve communication about this controversial topic. I must add that my personal experiences with such interactions have revealed the same themes. The public feels strongly that it is possible—even necessary—to control nature. And much of that sentiment is based on guilt about the damage that humans have done to nature and a desire for redemption. I prefer to respond to that viewpoint by informing the public of the damage being done in the name of “restoration.” We cannot redeem ourselves by doing yet more damage. However, I share Dr. Tassin’s frustration with scientists who are unwilling to speak to the public in ways that the public can comprehend. Jacques Tassin is a new voice on Million Trees. I am grateful for his participation in our discussion of invasion biology. It takes much energy for a scientist to go down to the arena to meet the general public, for example in the form of a conference. But it is well worth it. On the one hand, because it allows scientists to hear a different kind of discourse than media coverage of the issue. On the other hand, because the comments and questions from the public are often very significant. Following the publication of my book La Grande invasion: qui a peur des espèces invasives ? (The Great Invasion: Who Fears Invasive Species?) published in editions Odile Jacob in 2014, I was often invited to such meetings. I can distinguish several types of public reactions to my conferences. The main one is the public’s seeming intolerance of the idea that we can agree to do nothing about the progression of an invasive species, even if it is proven that nothing can be done about it, or that the species in question does not have a clearly negative ecological or economic impact. Farmers and hunters are particularly opposed to this view of not intervening and therefore not controlling the environment. For these people, it is a question of putting nature in its place. Finally, the third most frequent reaction is the belief that each invasive species introduced somewhere necessarily takes the place of another species. This principle of musical chairs seems deeply rooted in everyone’s mind. It is not certain that this is due to the theories of Robert MacArthur and E.O. Wilson’s about island biogeography. It seems much more likely that, deep in our imagination, the arrival of an intruder will end up with the departure of one of us. In any case, it seems to me that the debate about invasion biology is far more concerned with social psychology than with the science of invasions. I am now certain that those who focus their discourse on the biological and ecological dimension of invasive species are headed in the wrong direction. Today, invasion biology is more in the field of psychology and beliefs than it is a question of a rational discourse. But it is clear that scientists are particularly ill-suited for this dialogue. Journalists who are used to talking to hundreds of thousands of listeners on the radio or in the press are much better equipped to do so. Scientists must learn from journalists how to communicate with the public about invasive species, whatever the public’s opinion of invasive species. Tassin, J. (2014). La grande invasion. Qui a peur des espèces invasives ? Editions Odile Jacob. Paris, 216 p.
Jacques Tassin makes a great deal of sense. Thanks for including his comments in your blog. I absolutely agree with Tassin. And in addition to scientists learning from journalists how to communicate, I think its also time for more environmental attorneys to learn more about pesticides even though there are thousands of them, and the EPA its pluses and minuses so that they can better represent their clients who are trying to stop the use of certain pesticides or classes of them. just to correct my text above, there are thousands of pesticides being used in our environment, this means that a strategy needs to be developed so that lawyers, and environmental lawfirms can better protect the environment. This is so excellent and I love your commentary also. That does explain it: so much of the damage humans are doing to the environment in an effort to “restore” it back to pre-human harm is from guilt and fear. And adding to the harm by poisoning our environment and killing plants that are now helping native animals as well as many of the newer plants working together with native plants just makes it much worse. There is so much fear and hatred of plants involved also that you’ve tied in with the fear and hatred of immigrant humans. It’s a dangerous combination for the environment that people who care need to figure out. If someone calls a beautiful and edible plant that is the only one blooming in the desolate summer landscape “trash,” something is very very wrong. I so appreciate your reaching people about these contradictions of hating nature while trying to love it.